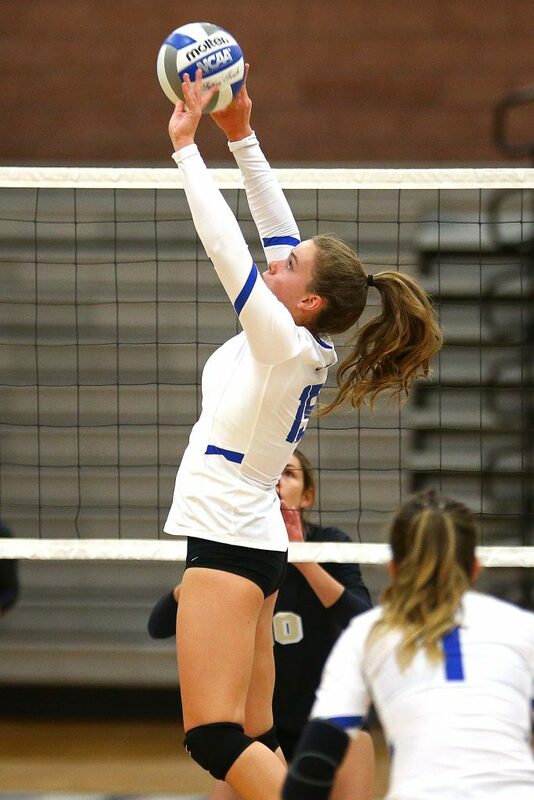 ST. GEORGE – Region 9 volleyball action Tuesday night featured a matchup of the two top teams in the preseason coaches’ poll as Desert Hills traveled to Dixie. The outcome would appear anticlimactic with the Flyer sweep, but if you attended the match, you saw that the Thunder held leads late in the last two sets, including three set points in the final set. It was a sweep for the Lady Flyers, but it did not seem like one as the final two sets went into extra points. None of the sets were blowouts. Neither team had more than a six-point advantage through the entire match. In the first set, Dixie jumped out to a 4-1 lead but saw it evaporate quickly when the Lady Thunder got the momentum and went up 8-5. Dixie then went on a 5-0 run and maintained a 2-3 point advantage. 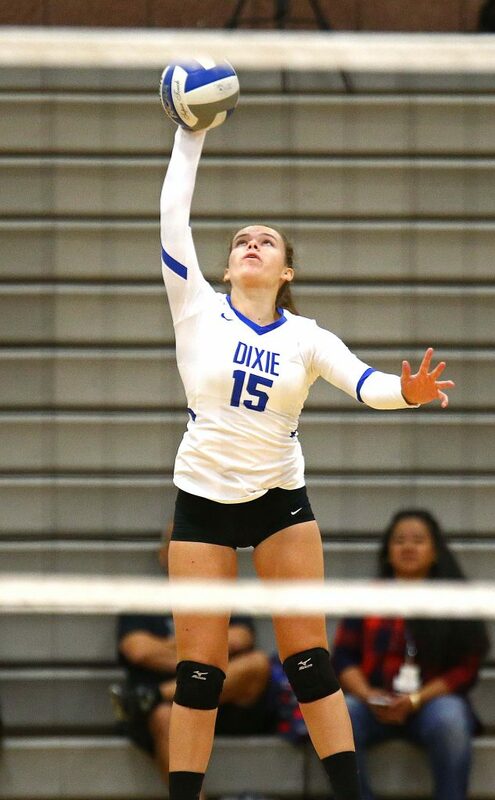 Tyler Stilson’s kill put Dixie up 18-14 and Dixie had its largest lead of the night at 20-14 before a Desert Hills side-out. Hallie Sonju then recorded three straight service aces to pull Desert Hills to 20-18 before Dixie head coach Stacy Leavitt called timeout. Dixie got the side-out and Stilson’s service ace put the Flyers at set point 24-18. Desert Hills was able to put two more up, though, before Loren Beatty’s kill ended the set 25-20. In the second set, three net calls and three doubles plagued the Thunder in the opening and they were facing a 14-10 deficit. Desert Hills then went on an 8-1 run, propelled by two kills from Elisa George, to take an 18-15 lead. The Thunder still led by three, 23-20, when Leavitt called timeout. 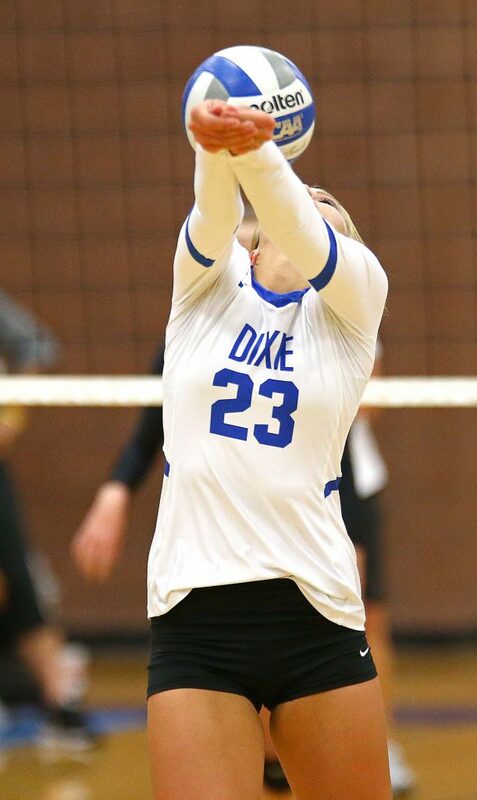 The momentum swing was immediate as Dixie scored four straight, capped by kills from Stilson and Beatty. After a Thunder side-out, Hallie Sonju had another service ace to put the Thunder at set point 25-24. Stilson came through with another kill to tie the game. 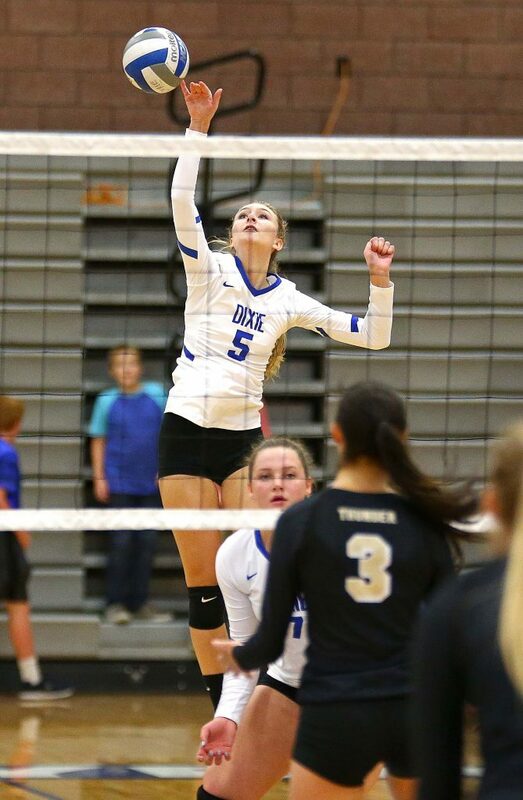 Dixie took the lead 26-25 when Saselah Goulding got the kill for the Thunder to stay alive. A side-out by Dixie and a subsequent attack error finally gave the home team the set, 28-26. 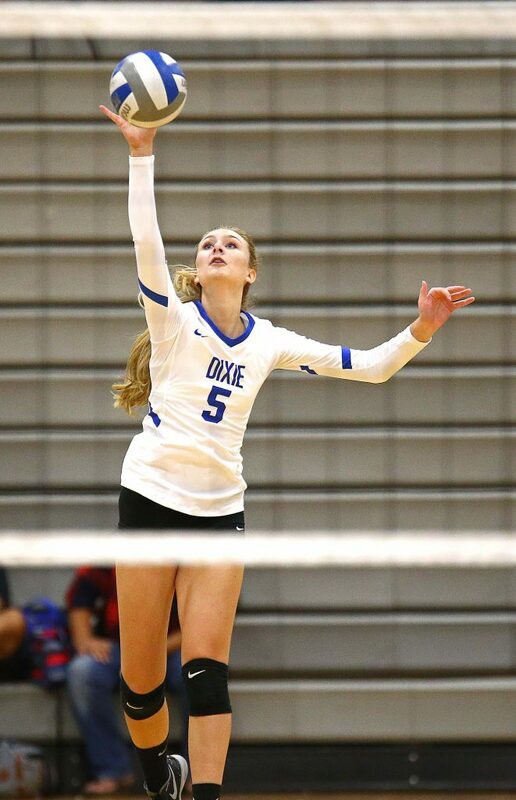 The third set looked like the steam had gone out of the Thunder when Dixie opened with a 5-0 lead on Wright’s service. 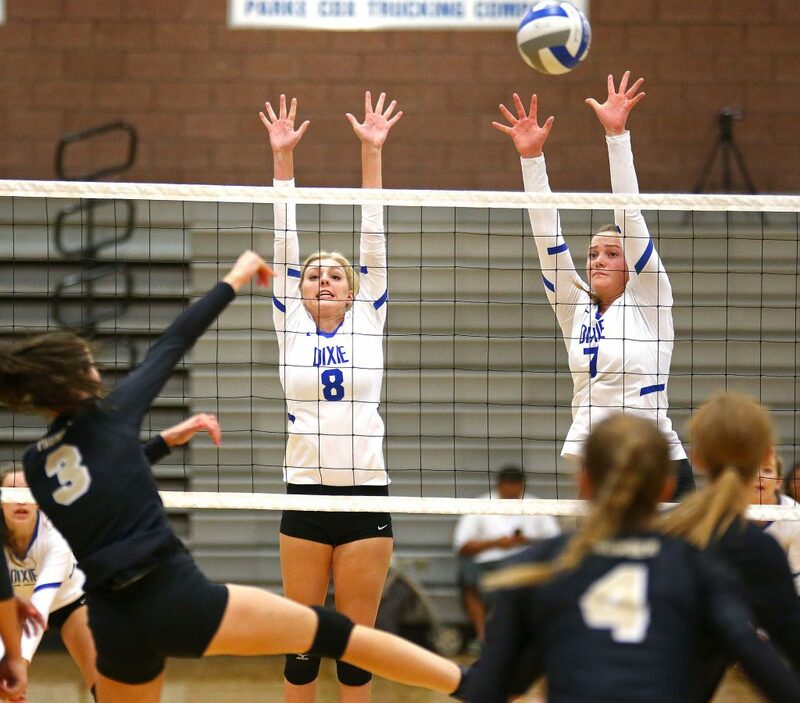 The Flyers led 6-2 when confusion over Desert Hills’ service order delayed the set for about 10 minutes. 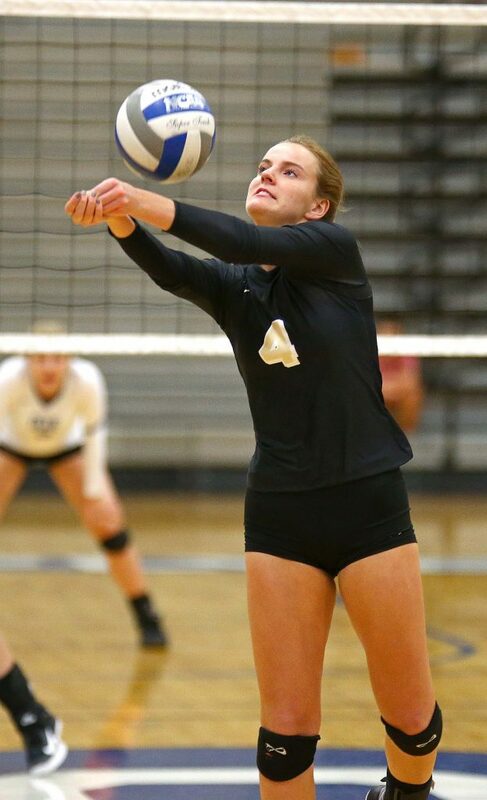 The officials returned the score to 5-1 and corrected the service order, but the delay seemed to have an effect on the Lady Flyers as Desert Hills scored seven straight points, again on Sonju’s service. 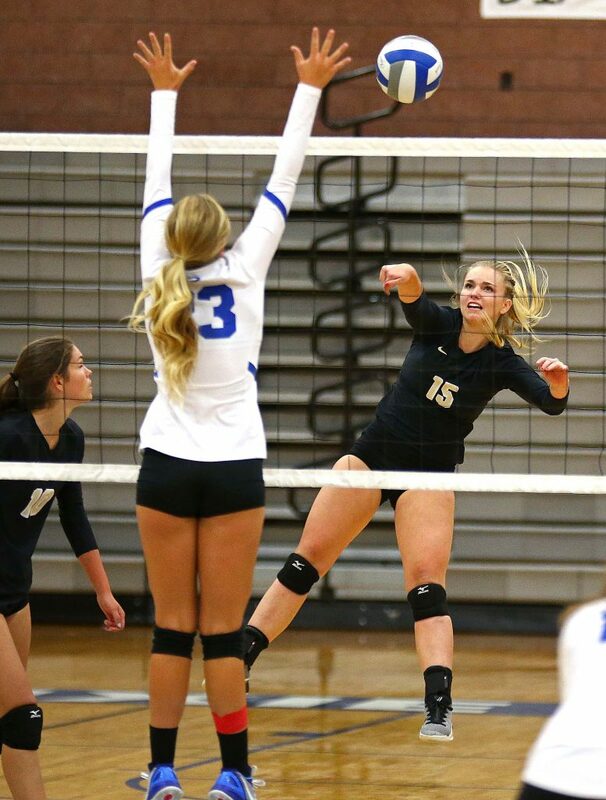 Madi Clark’s kill gave Desert Hills a 10-6 advantage. But Dixie tied the game at 11-11. Brynn Eardley had a kill, then a block, to score two points for the Flyers. Back-to-back Eardley and Stilson kills staked Dixie out to a 16-14 lead. Again, it was the service of Sonju that brought the Thunder back. Seven straight points, ending with another kill from Clark, gave Desert Hills a 21-16 lead. Goulding’s dump made it 22-17 for the Thunder. 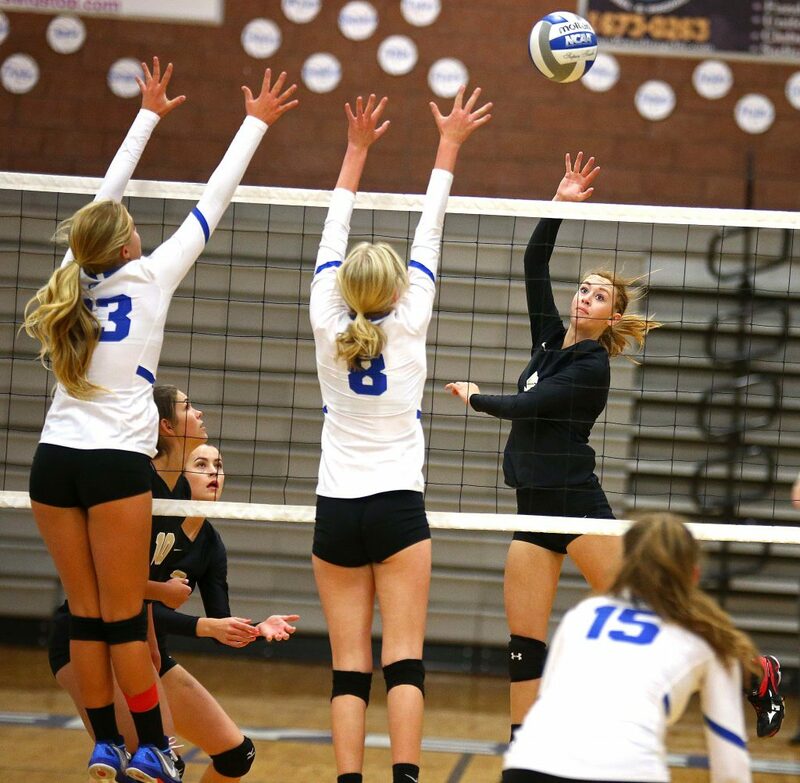 The match looked like it would go four when Desert Hills was serving set point at 24-21. But a side-out and four straight points, including a service ace from Cara Bair, once again gave the Flyers the come-from-behind win. 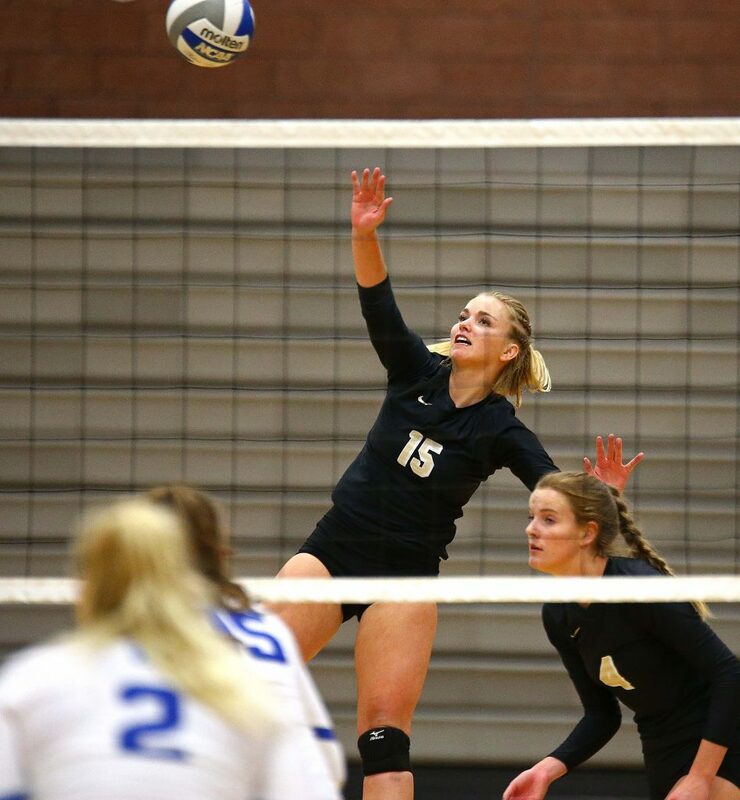 “It was a hard-fought match,” Desert Hills head coach Sharon Christensen said. Leavitt praised the serving of Bair.. Individually for the Flyers, Wright had 31 assists and 14 digs. Stilson led Dixie with 11 kills. Ella Burrows had six kills and eight blocks. Hallie Anderson had 10 digs. Eardley and Shawnee Jones had five kills apiece. Dixie improves to 2-0 in region play and 7-2 overall. The Lady Flyers will travel to Pine View on Thursday. Desert Hills falls to 1-3 overall and 1-1 in Region 9. The Lady Thunder will have a bye on Thursday. 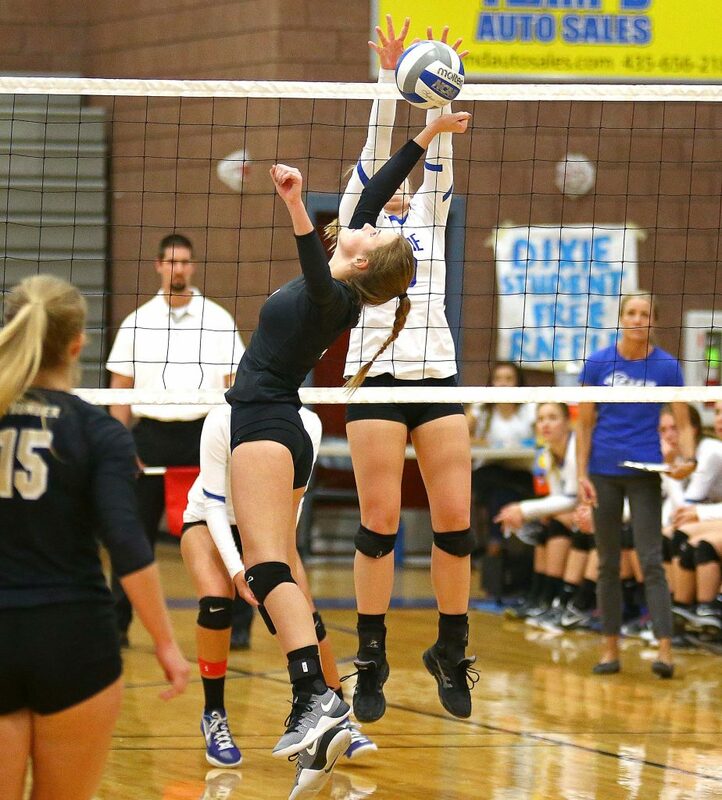 They will play this weekend in the Wasatch Festival hosted by Skyridge High School in Lehi. The Lady Warriors maintained pace with Dixie by beating the Falcons in straight sets, 25-17, 25-14, 25-19. 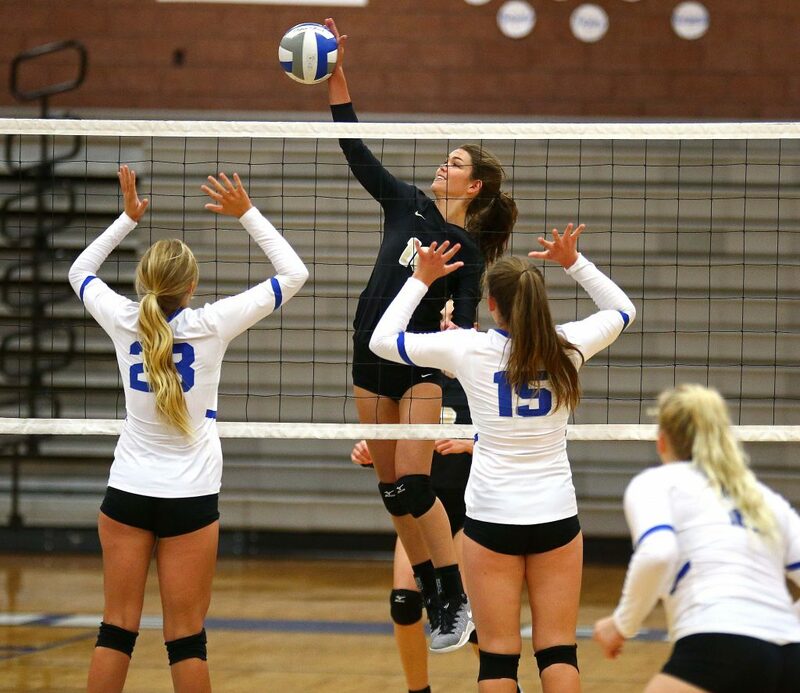 For Snow Canyon, Sammi Johnston and Lizzy Rowland led with 15 and 14 kills, respectively. Eliza Gibson had 35 assists. Rowland led the team with three service aces. Johnston and Jael Wilde had 15 and 11 digs, respectively. Sophie Robinson led the team with four blocks. Indivdually for Canyon View, Eowyn Colbert had eight kills. Malia Vasi and Brielle Fullmer had nine digs each. Camry Higgins led the team with three service aces. Vasi also had 14 assists. Snow Canyon improves to 3-1 overall and 2-0 in Region 9. The Lady Warriors will host Hurricane on Thursday. Canyon View falls to 6-6 overall and 0-1 in Region 9. The Lady Falcons will travel to cross-town rival Cedar on Thursday. 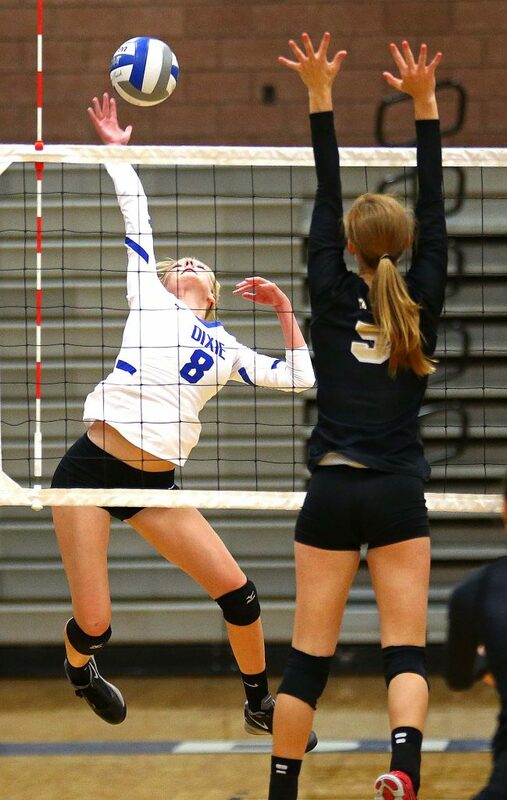 The Lady Tigers gave Pine View a good match on Tuesday night. Hurricane went down in four sets 25-17, 21-25, 25-17, 25-22. For the Panthers, Amelia Goebel and Addyson Mickelsen led the team with six kills apiece. Emily Lantor had five kills. Pine View improves to 15-6 overall and 1-1 in region. The Lady Panthers will host Dixie on Thursday. Hurricane falls to 4-6 overall and 0-2 in Region 9. 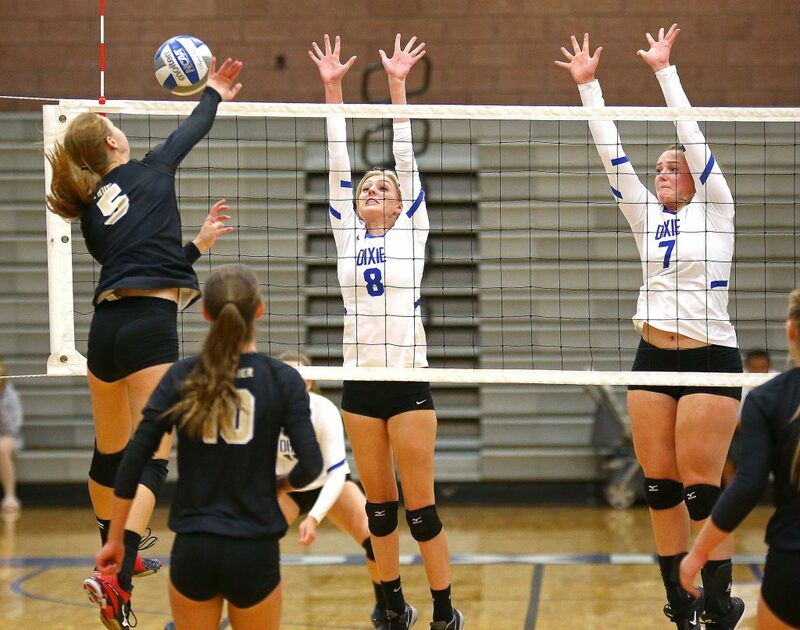 The Lady Tigers will travel to Snow Canyon on Thursday.